The President's Management Agenda and the Attendant IT Modernization Act have culminated in a number of federal agencies moving their applications and data storage to the cloud. Data Management and transparency, along with leveraging analytics and pursuing Artificial Intelligence programs are additional calls to action stemming from the PMA and related executive mandates. However, it is not feasible, nor possible for agencies to pursue all these activities at once. 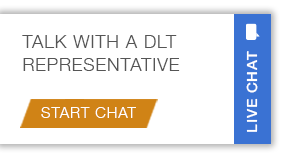 On April 3, 2019, DLT Solutions will host an interactive Federal Data Management and Strategy Workshop. The purpose of this workshop is to provide senior-level executives with a framework and set of actionable steps to understand and assess the data maturity of their organization. By leveraging the Federal Government Data Maturity Model (FGDMM), attendees will engage in "hands-on" exercises to articulate a data strategy and roadmap for their agency. A full agenda and speaker list coming soon!